Trees are a thing of beauty! Trees are a form of artwork. Trees can provide shade and most importantly value to your home or property. When trees are not well kept or become damaged due to storms or disease, they can lead to other issues down the road. You may need tree removal service but in many cases, you just need a your trees restored with new life. Arbor Wise Professional Tree Care provides tree restoration service in St Petersburg and surrounding areas. We specialize in reviving damaged trees and restoring them to be the beautiful pieces of art we love. 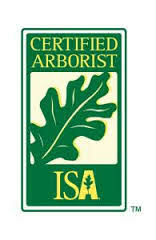 Our professional and certified arborists are passionate about providing the best tree restoration services. After all, we love trees or we would not be in the business!